In Depth Tensil Strength of Carbon Fiber, (example: CF T700S (epoxy composite) is 2550 Mpa, almost twice stronger than Steel (alloy AISI5130) 1275Mpa and Aluminum (7075-T6) 570Mpa Carbon is almost 4.5 times stronger! 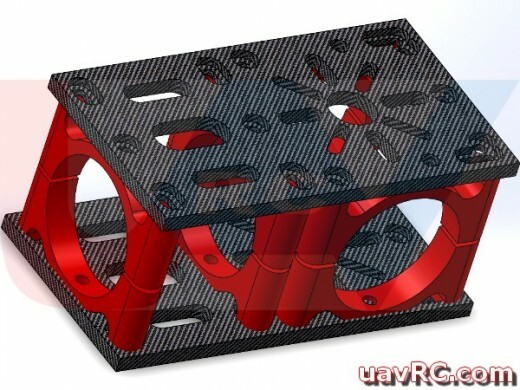 The UAVrc Carbon Fiber HUB Connector for 30mm Round Tubes/Booms, is a high Quality Module for Profes..
Motor Mount Plate for Big size Motors (from 40mm up to 150mm DRUM. Manufactured from high tensile Al..